Maruti Suzuki India Ltd today launched a new customer-centric initiative to enhance the ownership experience of the owners of Maruti Suzuki vehicles. Called Quick Response Team on Bikes, this first-of-its-kind service in India comprises of a fleet of 350 bikes in over 251 cities. The initiative is currently in its first phase and will cover more than 500 cities by the end of 2020. The Quick Response Team will use purpose-built motorcycles that will be equipped with essential tools and important spare parts that are required for a quick repair job. The technicians will be equipped to tackle as many as 90% of the problems that customers usually face in an event of a breakdown. As soon as a Maruti Suzuki owner reports a breakdown, a web-based system picks up the GPS location of a nearby technician, who is then assigned to handle the job at hand. The customer and the technician can connect over phone and see each other’s location and estimate time of arrival (ETA) through Maruti Care App. 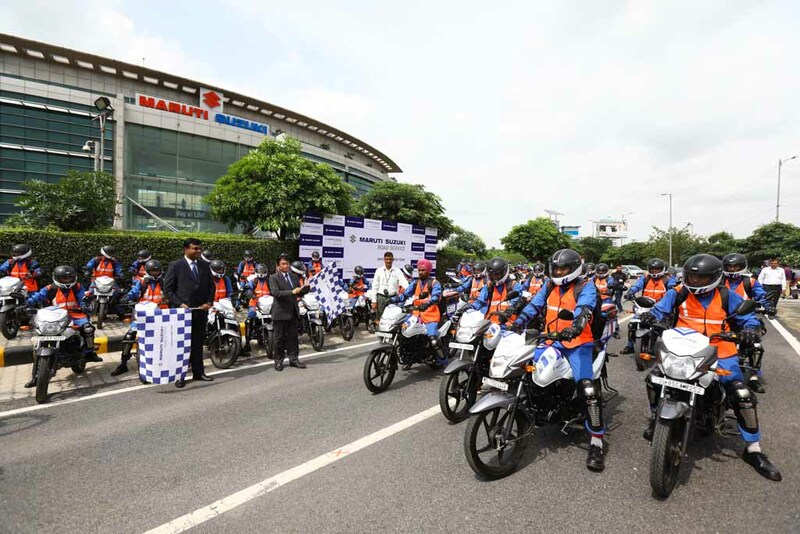 The Quick Response Team on Bikes is a part of the Maruti On-road Service (MoS). Maruti Suzuki customers can benefit from this service on a complimentary basis under the warranty offered on all Maruti Suzuki cars. For cars that are not covered under the warranty/extended warranty, the QRT service can be used on a per-call basis with visiting charges ranging from Rs 420 to Rs 575. Speaking on the launch of this distinctive initiative, Mr Kenichi Ayukawa, Managing Director & CEO, Maruti Suzuki India, said, “Customer obsession being a core value of Maruti Suzuki, it drives us every time to come up with innovations to delight our customers. Started over two decades back, Maruti Suzuki is the pioneer of road side assistance programme in India.